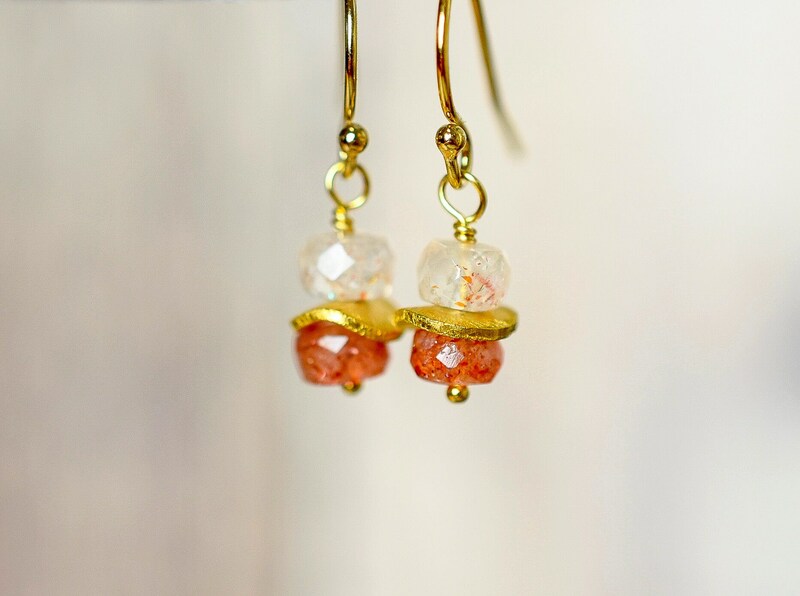 Be bang on trend this season wearing these gorgeous burnt orange Sunstone earrings! 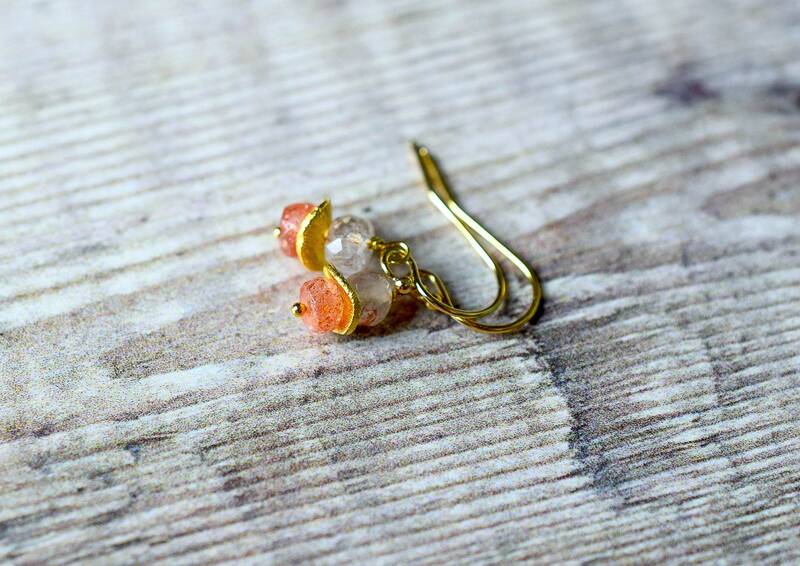 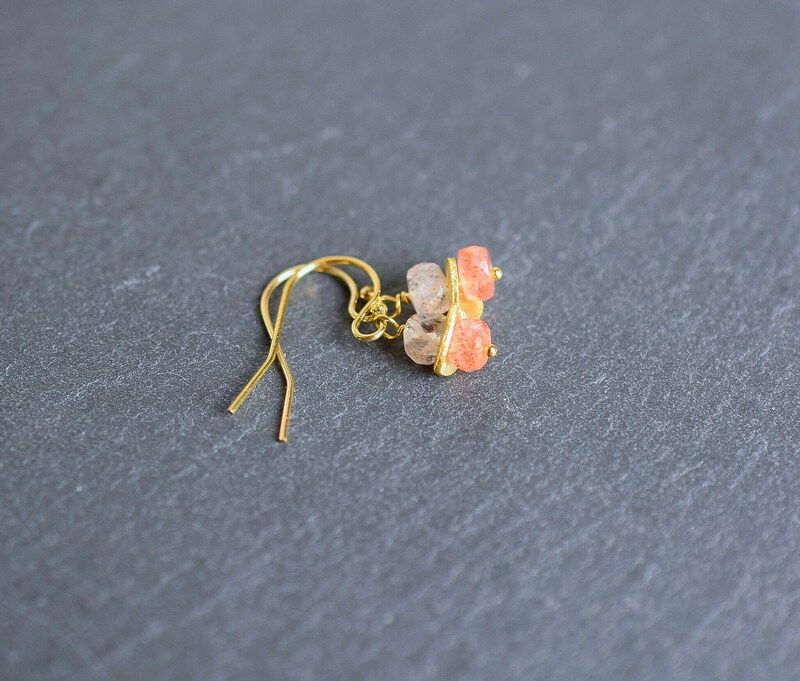 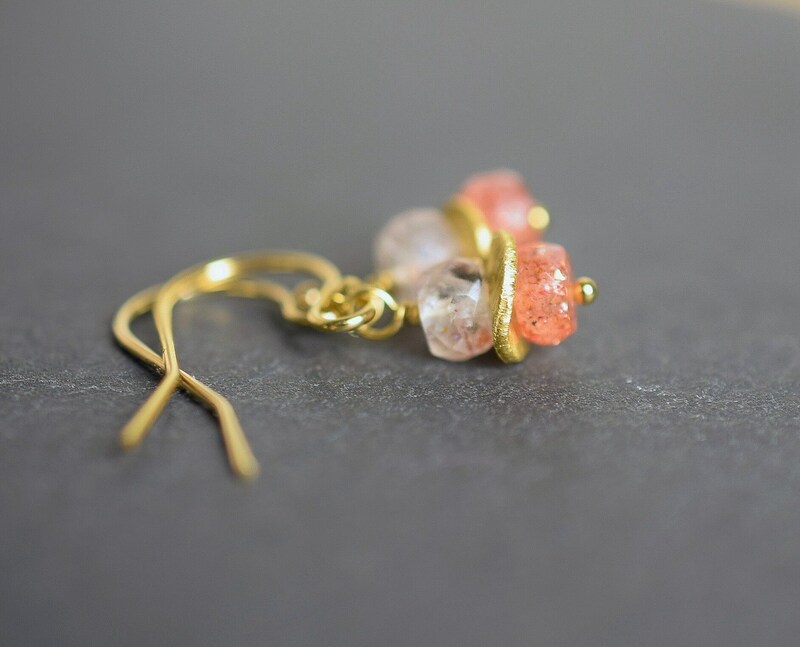 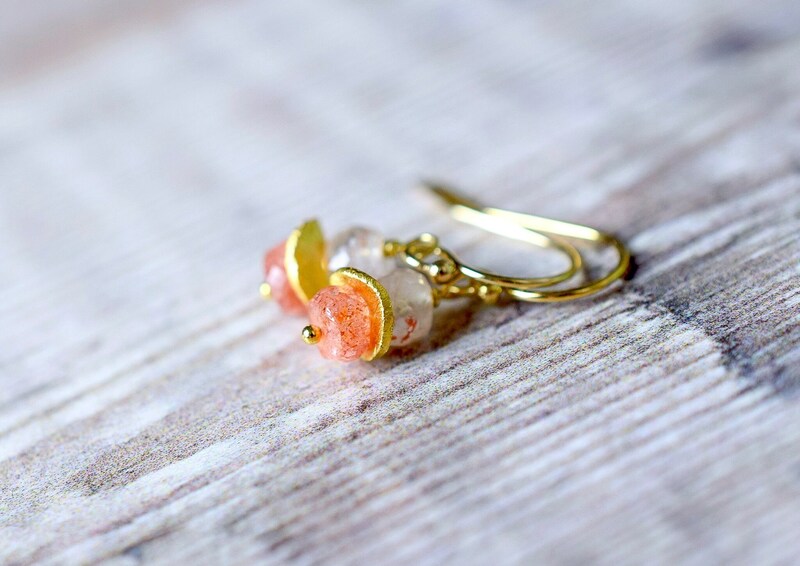 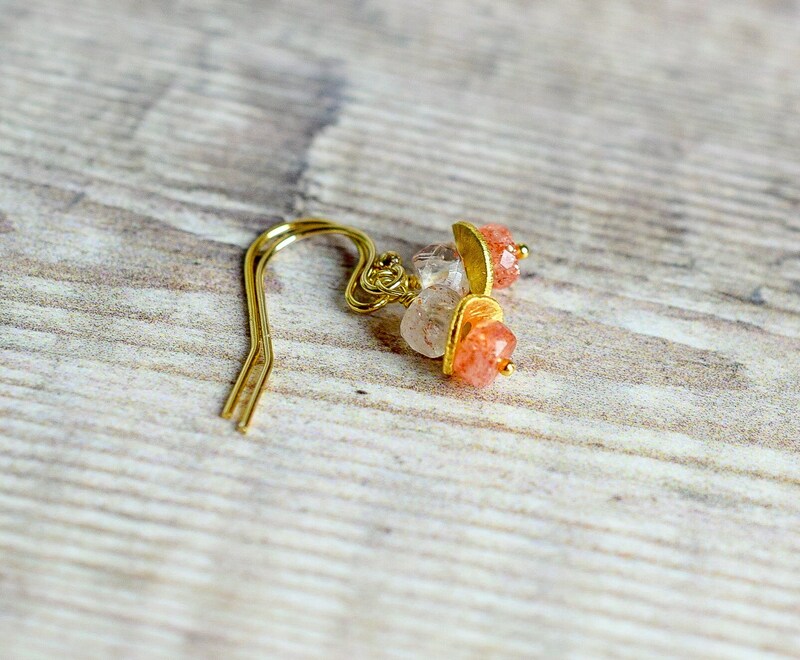 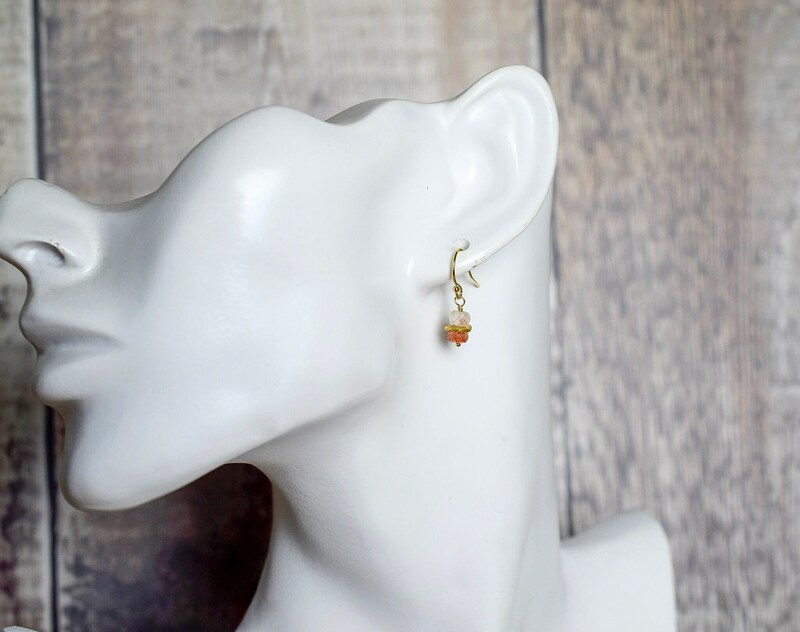 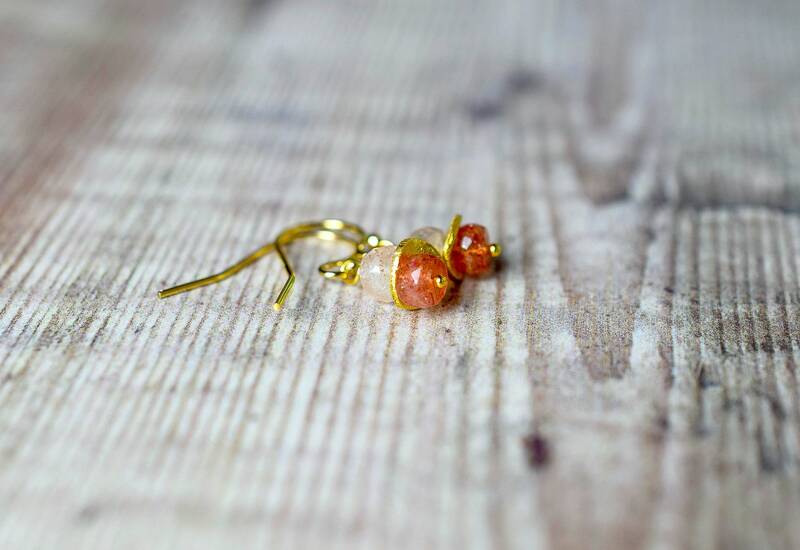 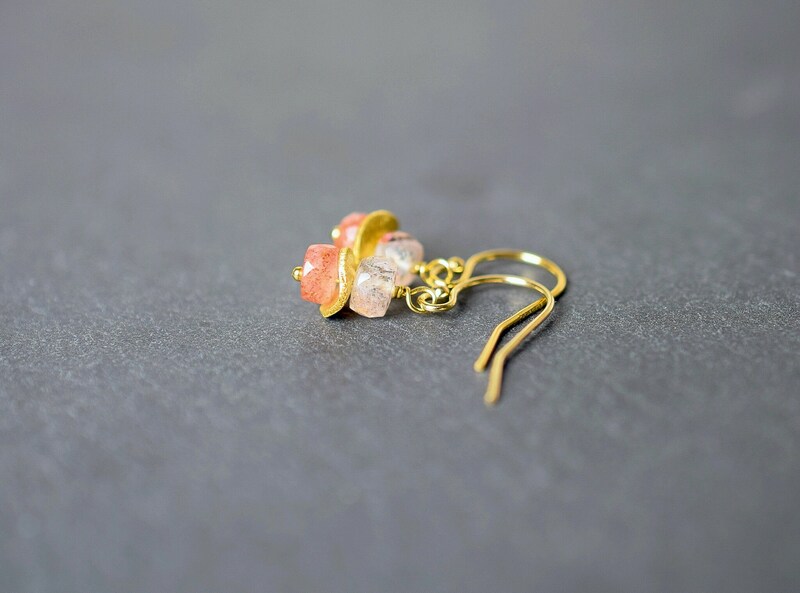 These beautiful dangle earrings are designed with faceted Sunstone rondelles and paired with gold filled ear wires. 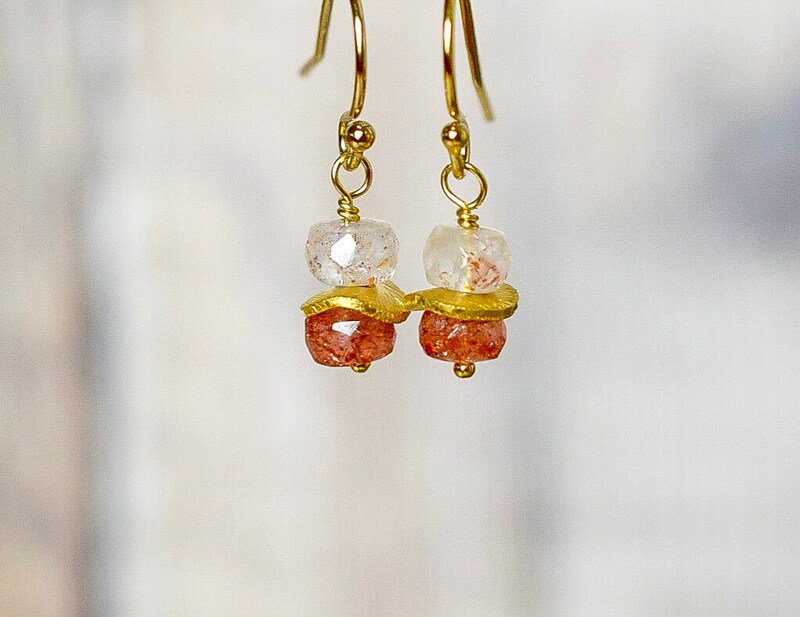 The two tone earrings feature both clear Sunstone gems with orange flecks & warm orange Sunstones with coppery flecks and are separated by a textured wavy disc in 24k gold vermeil (sterling silver dipped in 24k gold).